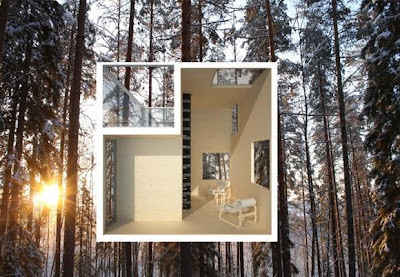 Relaxshacks.com: An "invisible" treehouse/treehome hotel- and/or a great modern tiny house! 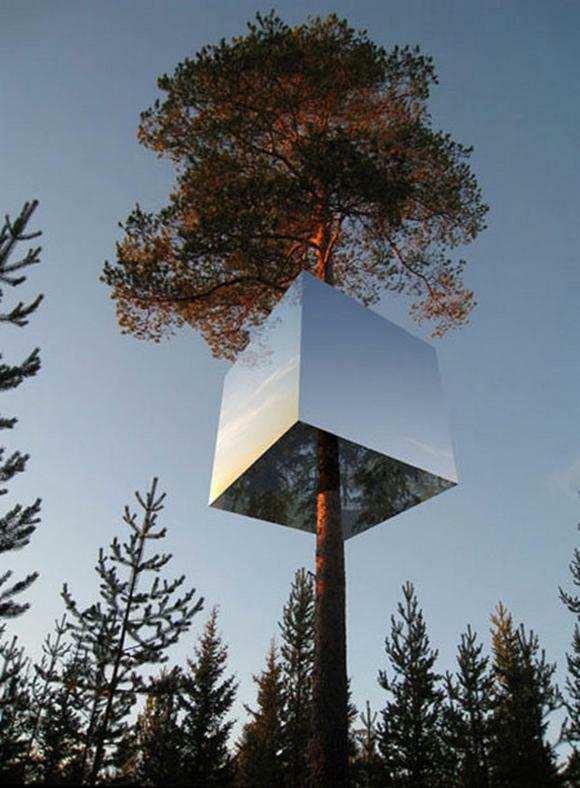 An "invisible" treehouse/treehome hotel- and/or a great modern tiny house! 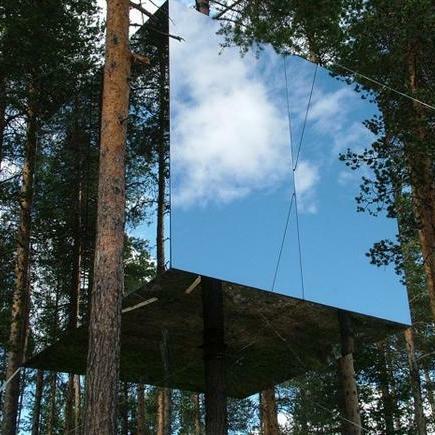 The invisible treehouse/hotel......most of the photos I've seen online before were photoshopped mock-ups and plans of what this COULD look like- but here are a few (some not) that appear to be of the real deal. Quite the luxurious treehome, with a cool little ladder-access deck, but with a house so tiny, yet sizeable-enough, I'd imagine you'd need much more support than one single tree (cables, ground posts, etc). Still, the simple interior design of this treehotel/treehouse is very appealing in a tiny home and small-space design sense....although with everything being so sterile and white, I'd be terrified to open a bottle of red wine indoors! 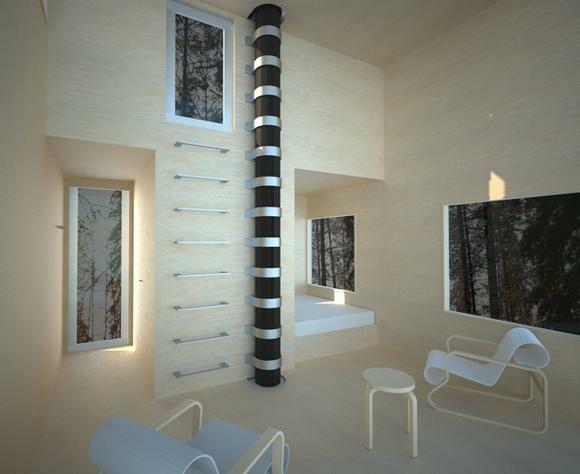 This would work pretty well as a micro-ground home as well! It just needs a tiny bathroom spot, which could be taken care of easily with the composting and incinerating toilets that are out on today's market.